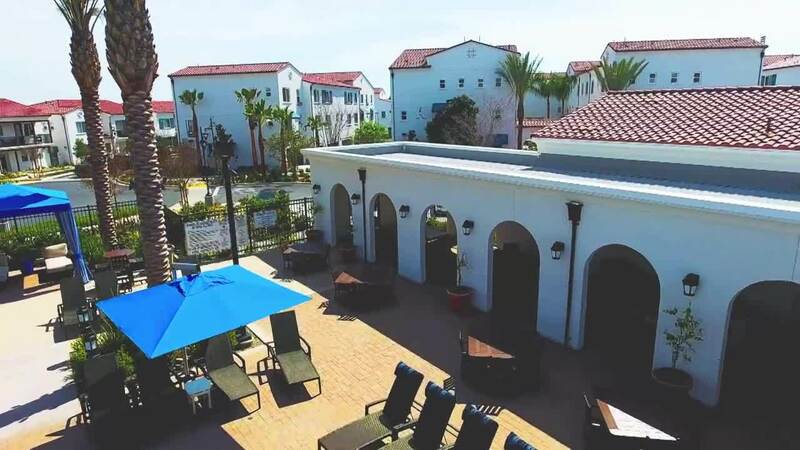 Welcome to Santa Barbara Apartments in Chino Hills, where our primary goal is to ensure a one-of-a-kind luxury living experience that is relaxing and stress-free. With a range of premium amenities, smart home features that are activated and supported by Amazon, a variety of floor plans, and gorgeous exterior architecture, we’re sure to have the right home for you. Our Chino Hills apartments are situated in an ideal location near award-winning schools, shopping, dining, golf courses, and the 57, 60, 71 and 91 freeways, ensuring your commute around town is quick and easy. Our community gives residents access to a number of onsite amenities, including a resort-style pool and spa, community garden, private dog park, and the Lewis Retail Center steps from your door! Visit Santa Barbara Apartments in Chino Hills today. At Santa Barbara Apartments in Chino Hills, we offer a variety of homes, each uniquely designed to fit your needs. Our beautiful 1, 2, 3 and 4 bedroom apartment homes feature voice-activated smart home living activated and supported by Amazon, thoughtfully designed kitchens for entertaining, master baths with soaking tubs, outdoor living for your enjoyment, and 1 to 3 car garages. Regardless of what you choose, our Chino Hills townhomes are ready to welcome you. Activated by smart techs for your convenience, on us! Activated and supported by Amazon smart techs, on us! Chino Hills is a city full of attractions, award-winning schools and opportunities to enjoy a busy, exciting lifestyle. Our apartments in Chino Hills CA are near several shopping centers, including the Shoppes at Chino Hills and the Commons at Chino Hills Shopping Center, which are jam-packed with trendy restaurants and stores for every taste. You can also enjoy picturesque walking and biking trails teeming with California wildlife and golf courses at Los Serranos Country Club. In short, you will be hard-pressed to find a more beautiful and affordable community than Santa Barbara in Chino Hills that is ideally located for commuters to Los Angeles, Orange, Riverside, or San Bernardino counties. If you are looking to rent in Chino Hills, take note of our stunning community of contemporary apartments for rent and the conveniences we offer. Our resident portal will allow you to experience stress-free living from the comfort of your own home. Contact Our Apartments For Rent in Chino Hills! If you are ready to move into your dream home at Santa Barbara Apartments in Chino Hills, we are prepared to assist you! Our community is located on Pomona Rincon Road within Chino Hills, with easy access in and around town. Feel free to contact us and take a tour! Our award-winning property management and customer service staff will be happy to provide you with answers to any questions you might have. Don’t miss an opportunity to secure one of our apartments for rent in Chino Hills today!